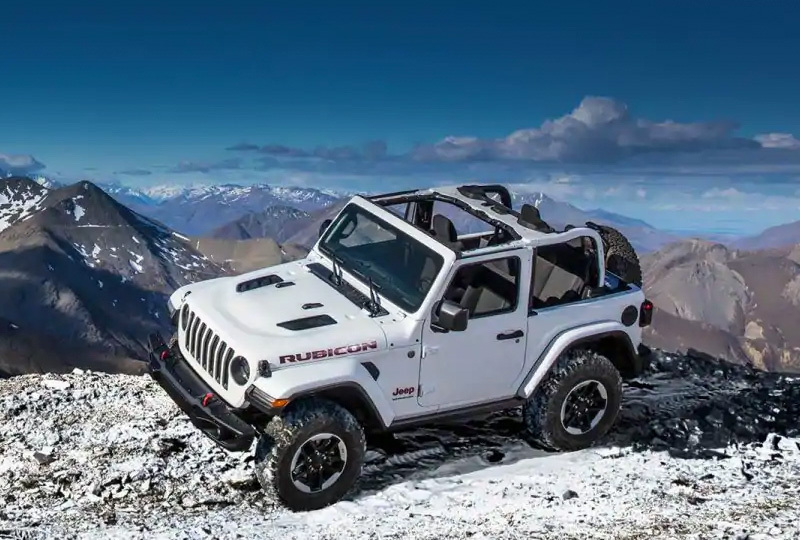 The 2019 Jeep Wrangler from Banks Crossing Chrysler Dodge Jeep Ram in Commerce, GA, serving Athens, Jefferson, and Toccoa, has received MotorTrend's prestigious honor of SUV of the Year for 2019. This adventure vehicle was made to take on the open road or the off-road trips, thanks to its robust engine package. The 285-hp, 3.6L V6 engine has a max towing capability of 3,500 pounds.1 You can pair it with the standard 6-speed manual transmission or available 8-speed automatic, as well as the standard Command-Trac® part-time 4WD system or optional Selec-Trac® full-time 4WD system. Maximize your 2019 Jeep Wrangler experience by enjoying an open-air ride. The zipperless Black Sunrider® Soft Top is easy to remove and install, as are the full metal doors. Make room for all your cargo by folding flat the 60/40-split rear seats, and cargo tie-down loops help keep your items from sliding around. No road trip is complete without great tunes, and you can queue yours up with a simple voice command, thanks to Bluetooth® technology. Music streaming gets even easier when you opt for Apple CarPlay™ and Android Auto™. All the sounds will sound great playing through the standard eight-speaker sound system. Our 2019 vehicle inventory is here and we have amazing deals you have to see to believe. Take your test drive today by visiting Banks Crossing Chrysler Dodge Jeep Ram at 2377 Homer Rd, Commerce, GA 30529. 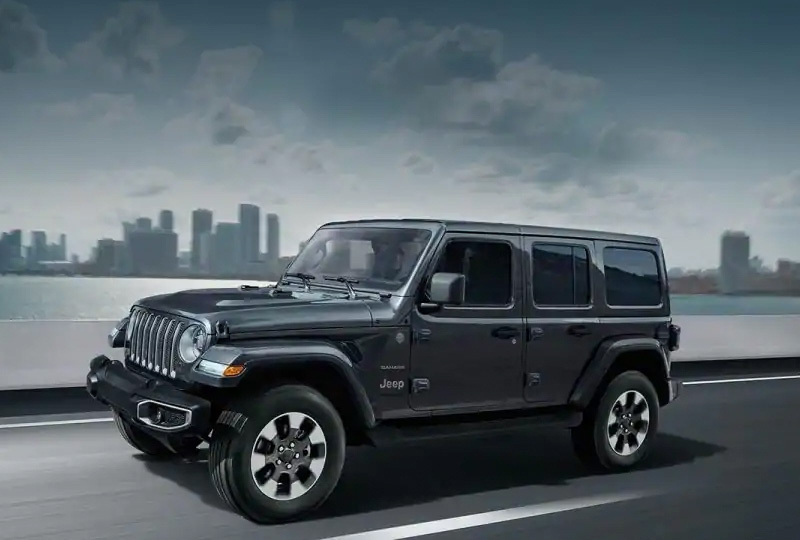 Don't miss out on owning the new 2019 Jeep Wrangler you've always wanted! Now it's easier than ever to get a clear view of the trail thanks to a fold-down windshield that is simpler to fold down or up-it only requires removal of four bolts versus 28 on the previous model. 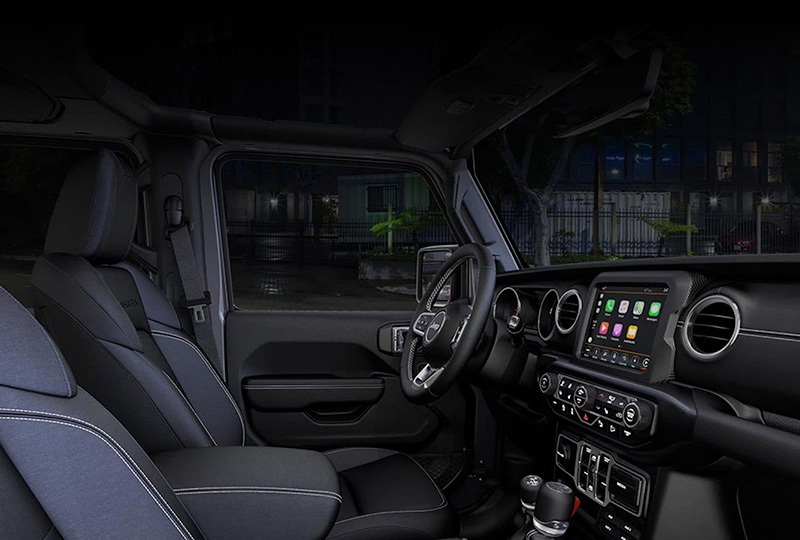 The 2019 Jeep® Wrangler offers an available Alpine® Premium Audio System with a 552-watt 12-channel amplifier, nine speakers and a rear subwoofer. The system is enhanced by active noise cancellation and acoustic laminated windshield glass to offset unwanted sounds-helping lead to a quieter cabin. Every Wrangler is fortified with skid plates to help protect critical components. Heavy-gauge steel skid plates defend important equipment like the fuel tank and transfer case while a skid bar helps safeguard the automatic transmission oil pan. Be sure to follow all instructions in owners manual for removal of tops, doors and lowering of windshield. Driving with the doors off and windshield down is for off-road use only.